- High performance crown glass lens 171mm x 114mm, for maximum clarity, precision and comfort. ESD-Safe WAVE LED bench magnifier is designed for use in static sensitive environments, such as in the electronics industry, where electrostatic discharges can prove fatal for electronic components. The shade and arm are powder-coated with a metal-laced paint which drains away static and uniformly distributes throughout the entire surface of the head assembly. 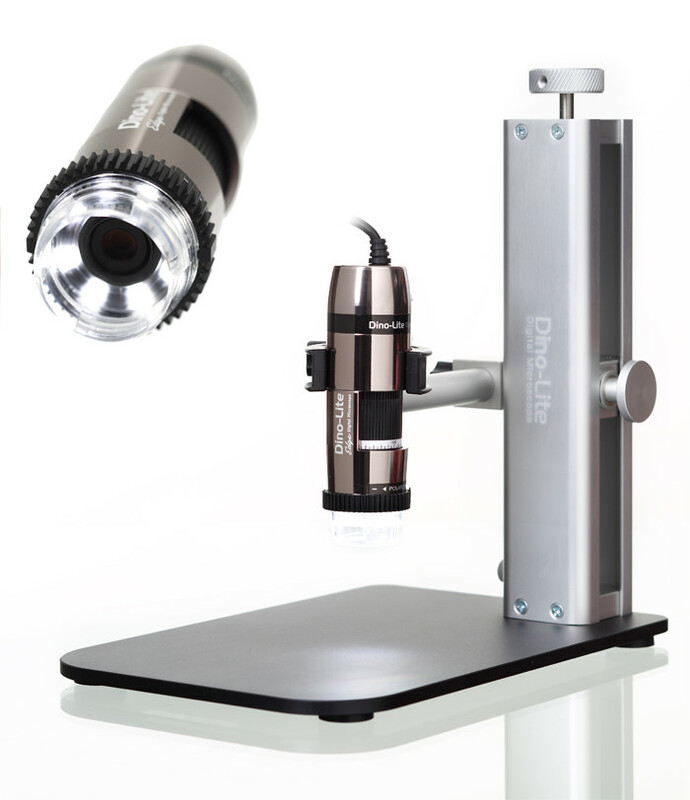 WAVE ESD offers shadow-free magnification and 3D viewing with the independently controlled left and right illumination. The 3D-feature is especially useful when working with circuit boards and similar delicate objects in inspection and rework applications. 2 x 6W LED modules provide 4600 lux with 4000k colour temperature. 3 Step dimming, 0-50-100%. Vision-Luxo magnifiers are specially designed to maximize horizontal and vertical movement. The 3 pivot, 1143mm long arms, provide significant horizontal reach, and will always stay in the right position without drifting. The arms are balanced by spring systems which ensure smooth and easy positioning – no knobs to tighten, nothing to adjust, just move and it stays. The flexibility of the self-balancing arm and friction-free joint between the head and arm makes exact positioning easy. The fully-enclosed neck design is ideal for mechanical, electronics, circuit boards, dental and jewellery and other precision applications. The quality of WAVE LED is ensured with the high performance optical glass lens providing super clarity and low distortion. The crown glass lens has a lower refractive index than plastic lens magnifiers, which reduces the loss of light in transmission through the lens and therefore less distortion of the image. Result: more comfortable viewing over longer periods of time. Secondary lense: for additional magnification a secondary 4, 6 or 10 dioptre STAYS lens can be attached to the primary lens. For other models of WAVE LED - see Related Products tab. For accessories - see Related Accessories tab. Vision Engineering's collaboration with Luxo Corporation, provides a range of illuminated industrial bench magnifiers offering outstanding performance for a range of manufacturing, assembly and inspection tasks. These quality bench magnifiers provide perfect balance and flexibility for efficient working. With magnification ranging from 1.75x to 4.75x and superb optical quality the range includes EDS / UV variants for specialist industry requirements.